E-commerce web development has become a requirement as it is very important to enhance the level of traffic. We, at Webcreaters, are considered as one of the established web development companies. We are much known for offering effectual and efficacious E-commerce web designs, module and plug-in development solutions for both the medium and small level of enterprises. We are having a very good team of experienced and skilled professional, who are having deep care for web development and designing. They are very aware with the latest technologies which will help you to deliver prolific results. Our developers are quite competent in creating customized E-commerce website which will help you to promote brand in the most effective and reliable way. The best thing with our service is that you are free to discuss your need and requirements with our professional developers, so that you will be able to get the website according to your need. By doing these things in a very effective way you will be able to bring positive results for your website. 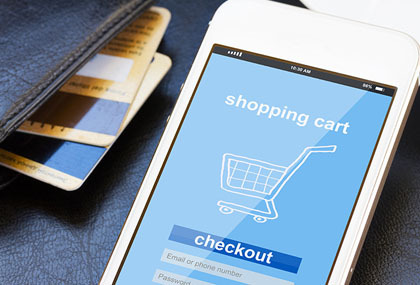 We are a leading eCommerce website development company that builds mobile and web applications for its global customers. We offer eCommerce development services in all major technologies. Our extensive services comprise of setup, installation, version upgrades, support, templates, product uploads & integrations, advanced shipping, gateway integration, module integration, customer retention, cloud hosting, and lot more. An E-commerce website designing and development requires clear vision, perfect blueprint and impeccable execution in order to provide with the easiest and efficient medium of selling. We not only helps you in designing and development but we provide solutions with logistics, payment partners and help in setting up warehousing solutions for your brand. To save your investment of third party payment gateways, we offer Shopify web solutions. Choose us to create sales pulling Shopify web stores for all industries. If you are looking for appealing UI and UX development in Woocommerce then come to us. For creating plugins and extensions for your existing web store, choose our matchless Woocommerce development services. Opencart is fast gaining popularity as an eCommerce design and development platform. We offer custom eCommerce development in Opencart to create an effective yet affordable online store. We have a track record of building feature rich Magento eCommerce websites. Experts at customization, we create business specific online stores that give high returns on investment. Leverage our expertise for BigCommerce theme development and responsive BigCommerce store setup. Hire our services for designing a BigCommerce store that demands least maintenance and support. For adding novel features like user registration, powerful backend panel, search engine optimized URLs and other extensions to your web store, choose Prestashop eCommerce development.